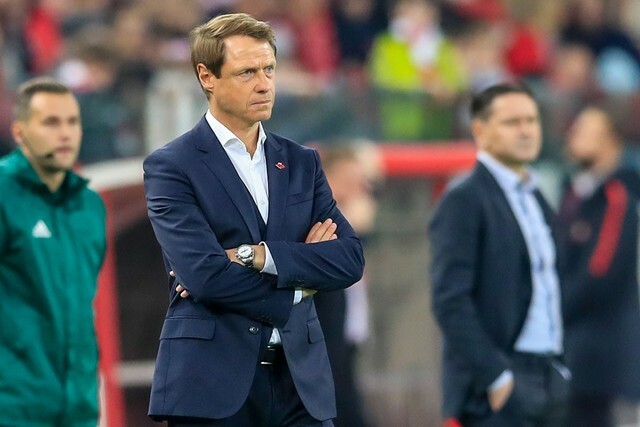 Spartak: Selikhov (Maksimenko, 11), Rasskazov (Tashaev, 65), Dzhikiya (Gaponov, 61), Bocchetti (Kutepov, 46), Ayrton (Kombarov, 61), Glushakov (c) (Guliev, 61), Zobnin (Fernando, 46), Pedro Rocha (Lomovitski, 46), Hanni (Ignatov, 61), Luiz Adriano (Glushenkov, 61), Ze Luis (Melkadze, 61). Slovan: Greif, Alo, De Kamps (Drazic, 61), Rhasalla, Lubicic, Shporar, Suhotsky, Holman (Дельградо, 80), Bozhikov, Charic, Bayric. Unused subs: Sulla, Rabiu, Chmiyanic, Yachkulyak, Potoma, Guzmic. Голы: 0:1 Sporar (20), 0:2 Holman (31), 0:3 Sporar (47), 1:3 Melkadze (84, Fernando). Bookings: Holman (26), Lubicic (33), Guliev (83), Fernando (86). However, back in the modern times, today’s game took on a slightly different meaning for Slovan. Slovakia’s championship will be resumed in a week, and Slovan lead the pack by a margin. They face their direct opponent too, which currently sits 8 points behind the league leaders. 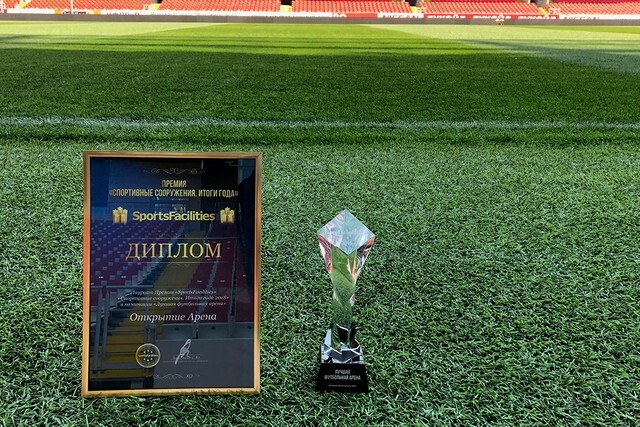 This explains Slovan’s level of fitness, objectively superior to Spartak’s at this stage. Oleg Kononov’s side is facing a peak workload, train twice a day, and so are not yet fully fit. 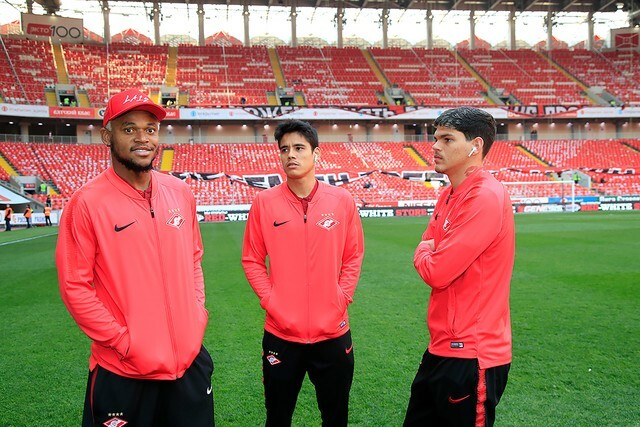 Our head coach went with a 4-2-3-1, moving Luiz Adriano to the right wing for the first time this year. The Brazilian cut inside often though to support our attacks. Spartak utilised intense pressing from the off, however Slovan stood firm, their keeper denying Ze Luis and Dzhikiya. 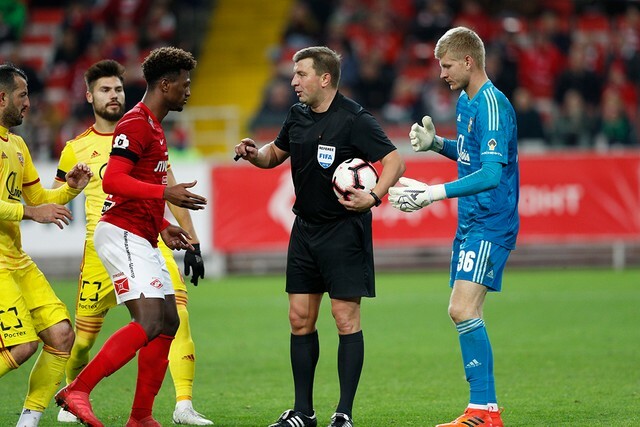 We were then forced into an early change, when Selkhov asked to be replaced in the 11th minute, with Maksimenko coming on. Slovan went ahead in the 20th minute, opening the scoring with a low strike from a distance. 9 minutes later they doubled their lead, capitalizing on the mayhem in the box. In-between Bocchetti went close with a headed effort. Early in the second half Slovan made the most of another one of our mistakes, scoring a third from close range. Fernando responded with a dangerous free-kick effort, which nearly allowed Kutepov to pounce. Slovan’s keeper came to the rescue, saving the resulting shot with his leg. Roughly 20 minutes from time Maksimenko was called into action at the other end, reacting to a point-blank shot. Kombarov had another sight of goal, but his effort was blocked by a defender. However we did manage to get one back in the dying stages. Fernando’s through ball found Melkadze, whose fired his effort past the stranded keeper.